Signs of a “Blue Wave”? May 10, 2018 — Looking at the voting patterns for Tuesday’s primaries in the four states holding elections, we see little evidence of the reported “blue wave” often discussed in media analyst reports — meaning a surge in Democratic Party voter turnout — but there is also sparse information to determine specific participation trends in many of the noted places. Ohio has the most complete data to compare totals for midterm elections dating back to 2006. On Tuesday, 1,506,777 people voted in the two major party primary elections, with just about 55 percent recorded in the Republican gubernatorial contest. The current grand total was the second largest participation figure in the four midterms since 2006, inclusive. The 1.506 million aggregate total was second only to the 2006 turnout that saw 1.626 million Ohioans voting. This year, both parties featured open gubernatorial primaries, each with a clear leader heading into Election Day. 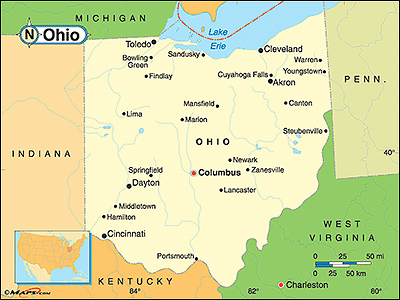 In all four of the tested Ohio midterms, more people voted in the Republican primary. The 54.9 percent participation factor when measuring the two parties against each other on Tuesday night was the second highest of the sampled four. Only the Republicans’ 56.0 percent participation rate in 2014 was stronger. To put the current rate in perspective, the GOP low occurred in 2006 when 50.8 percent of primary voters cast a Republican ballot. In the succeeding general election, Democrat Ted Strickland would win the governor’s campaign, making the result consistent with the higher Democratic primary participation rate. In the Buckeye State House races, eight of the 16 districts featured primary elections for both parties. In each of the districts holding primaries for both parties, the political entity controlling the seat before the election saw more people vote in that party’s primary. 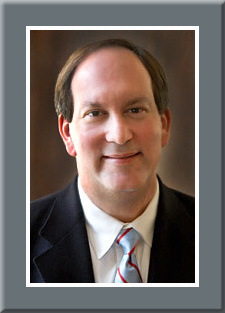 The most significant race was the special primary election in the 12th District, the seat former Rep. Pat Tiberi (R) vacated to return to the private sector. There, 23,902 more people voted in the Republican primary, thus providing some tangible support for predicting the state Sen. Troy Balderson (R-Zanesville) is favored to win the seat in the Aug. 7 special general vote. With no governor’s race on the ballot this year, the Republican Senate nomination campaign tops the Indiana political card, which is one of the more interesting campaigns in the country. Here, Reps. Todd Rokita (R-Brownsburg/Lafayette) and Luke Messer (R-Greensburg/Muncie) are battling former state representative and Meyer Distributing and Meyer Logistics companies’ owner Mike Braun for the right to face first-term Democratic Sen. Joe Donnelly in November. Donnelly has no opposition for his party nomination. Braun has gained national notoriety for his campaign, which has strategically melded both congressmen into basically one person. The Braun Campaign ads have characterized Reps. Rokita and Messer as being part of the Washington “swamp”, concentrating negatively on their budget and trade votes, as well as casting them as professional politicians. He even goes so far as to brandish two cardboard cutouts of the congressmen where they are dressed exactly alike and says they are both lawyers who never practiced, instead spending their entire careers in politics. March 1, 2018 — Voters in the West Valley of Arizona’s Maricopa County went to the polls Tuesday and prior to that, throughout the early voting period, to cast their ballots for special election nominees to replace resigned Rep. Trent Franks (R-Peoria). 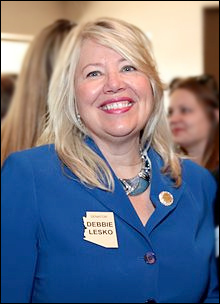 Until she resigned her own seat in the state legislature to enter this special congressional election, Debbie Lesko (R-Peoria), was the state Senate President Pro Tempore. She became the favorite late in the voting period, and capitalized on her momentum to score a strong victory in the Republican primary. She recorded 36 percent of the vote while resigned state Rep. Phil Lovas (R-Glendale) and resigned state Sen. Steve Montenegro (R-Surprise) trailed, each posting 24 percent. Former Public Service Commissioner Bob Stump (no relation to the late Republican US Rep. Bob Stump, who served in the House for 26 years), finished a poor fourth, capturing just over five percent of the vote. Arizona has a “resign to run” law, meaning an elected official must relinquish the office they currently hold if seeking another elected position. This explains all of the office holders running in this special contest having recently resigned their positions. For the Democrats, physician Hiral Tipirneni scored an easy 60-40 percent victory over auto sales manager and LGBT activist Brianna Westbrook in a contest that never appeared to be in doubt. Though turnout was up substantially in the Democratic column when compared to past similar elections, their participation number still paled in comparison to majority Republicans. The unofficial count shows 36,404 total Democratic votes, while the aggregate GOP vote recorded 71,320 spread among a dozen candidates. Jan. 9, 2018 — Most people believed the 2018 Ohio Senate general election would be a re-match of the 2012 contest, but now big changes are afoot. 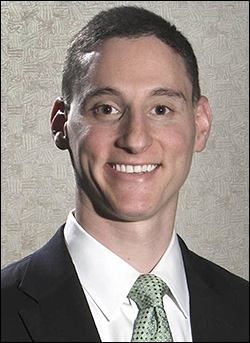 On Friday, presumed Republican nominee Josh Mandel, the Ohio State treasurer, announced that he will not file for the Senate race when the deadline expires on Feb. 7. Unfortunately, Mandel says that his wife’s undisclosed health situation, apparently just recently diagnosed, has forced him to the political sideline. He did not indicate whether or not he would seek re-election to his current position. Mandel was quoted as saying, “[I] recently learned that my wife has a health issue that will require my time, attention and presence,” and that it “has become clear to us that it’s no longer possible for me to be away from home and on the campaign trail for the time needed to run a US Senate race,” as reported on the Daily Kos Elections website. This means there will not be a repeat performance between Mandel and Sen. Sherrod Brown (D). The two ran against each other six years ago, with the Democratic incumbent winning 51-45 percent. At the time, Mandel, a first-term state treasurer elected only two years before, raised an impressive $18.9 million for the race, losing by only six points while Sen. Brown had the advantage of President Obama topping the Democratic ticket and carrying the Buckeye State. In comparison, Sen. Brown expended just under $21.5 million to secure his first re-election. 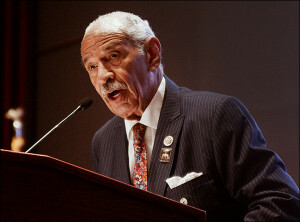 Dec. 8, 2017 — Last week, it was erroneously reported in the New York Daily News and several other publications and tweets that embattled Michigan Rep. John Conyers (D-Detroit) had announced he would not seek re-election next year, but the story proved premature. Congress’ most senior member actually took things a step further on Tuesday. Not only will he not seek another term in office, but the Dean of the House, and the only member originally elected in the 1960s, resigned his seat effective immediately. The sexual harassment allegations that seem to be growing by the day, in the end, proved too much for Conyers to contain and remain in office. The congressman’s mid-term departure after more than 53 years in office will lead to a new special election for Michigan’s 13th District, a seat fully contained in Wayne County that encompasses a large portion of the city of Detroit, including part of the downtown area. The district then swings south to include the River Rouge and Midtown communities before swerving west to annex Brightmoor, Warrendale, Westland, and Romulus, the latter town being adjacent to the Detroit Metropolitan Wayne County airport. The majority black district is 55 percent African American and 38 percent Anglo. No other race or ethnicity tops 10 percent of the district population.